You probably don’t need a reminder that Iowans have just endured one of the most vicious mid-winter cold snaps on record. The multiday event began with significant snowfalls which quickly gave way to plunging temperatures, followed by winds gusting to 50 plus mph. As the storm raged, weather casters repeatedly described the system as “life threatening”; and it was. Across the state’s northern half, the mercury dropped to minus 30; wind chills reached an incredible minus 60 and beyond. Whiteout conditions reduced visibility to nothing; country roads drifted shut. In southern Iowa, the weather wasn’t much better. 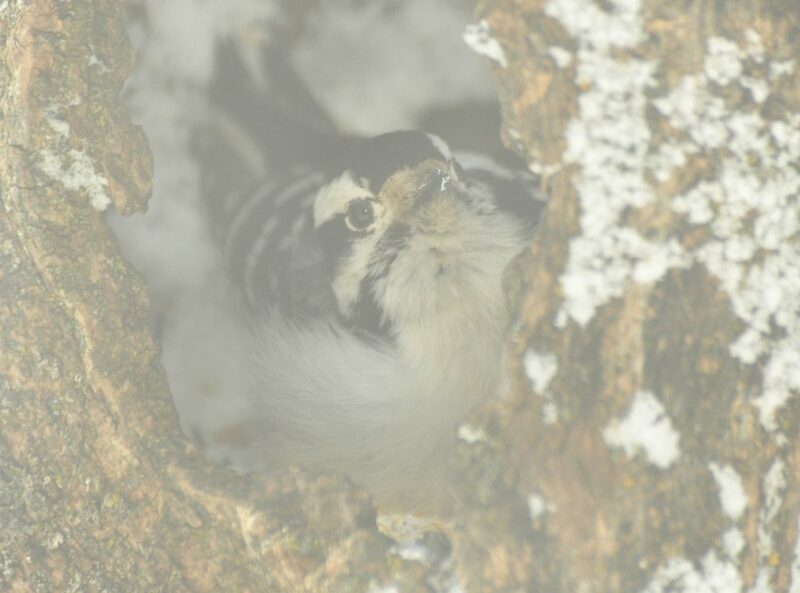 For those of us looking out from behind the windows of our warm houses, the universal question was, “How in the world can the birds survive out there?” The answer is as complex and varied as it is amazing. 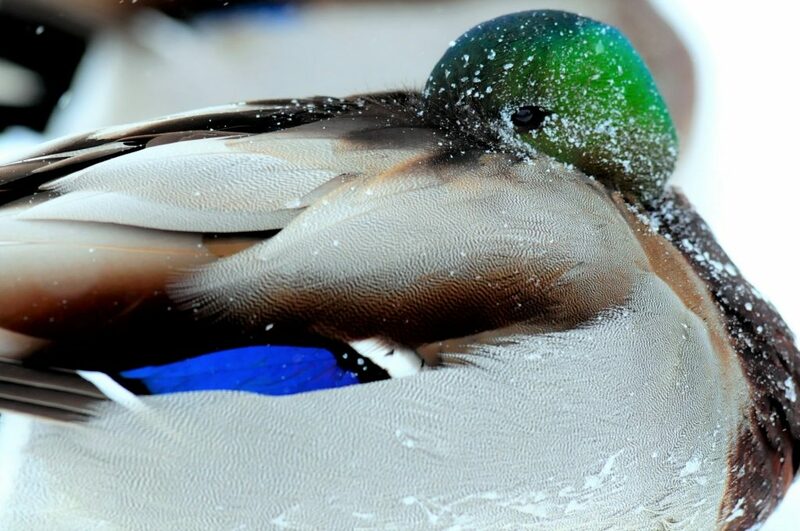 The one thing that all birds have in common is that winter is a hard time. Many species migrate to avoid winter chill — some traveling as far as deep into South America. Others opt to stay put, riding out the season just like most of us. 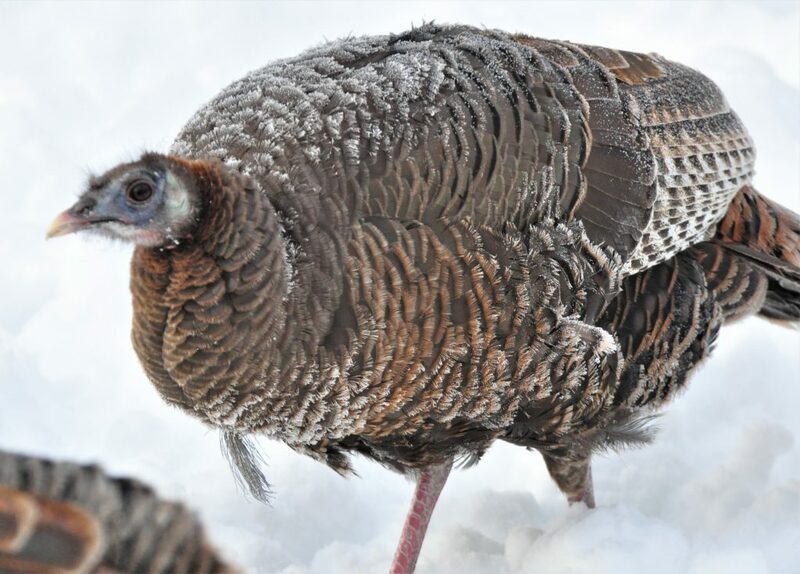 Bearded Hen – nonmigratory birds, like this hen turkey, are well adapted to handling the rigors of harsh winter weather. Smaller birds – chickadees, juncos, and finches – employ a slightly different tactic for survival. While their larger cousins can afford to dig in and wait for conditions to moderate, most little birds kick it into overdrive as storms arrive. With extreme energy demands and comparatively lower fat reserves, birds like chickadees and goldfinches go on all day feeding rampage, voraciously consuming every calorie they can find. 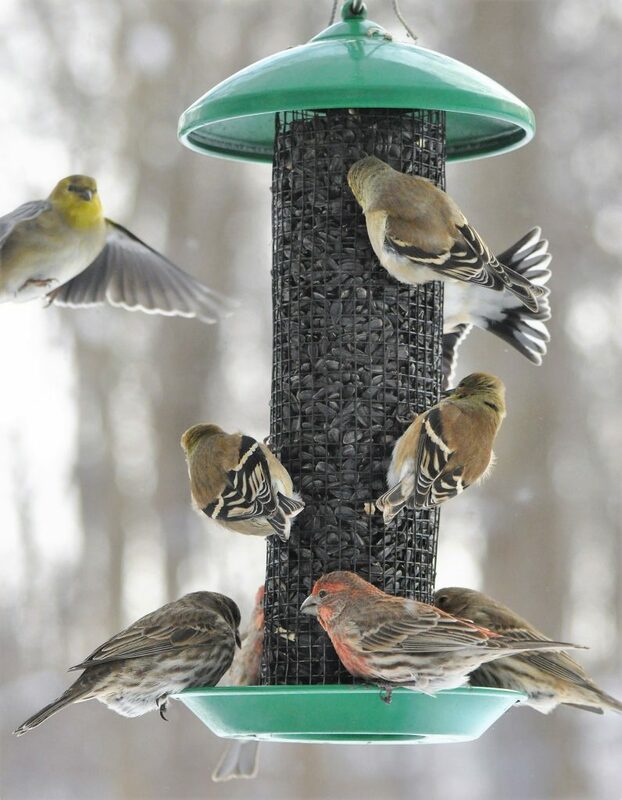 Backyard feeders are never more beneficial than when extreme weather puts survival on the line. A frosty eyed, black-capped chickadee sits out a minus 30-degree cold snap. 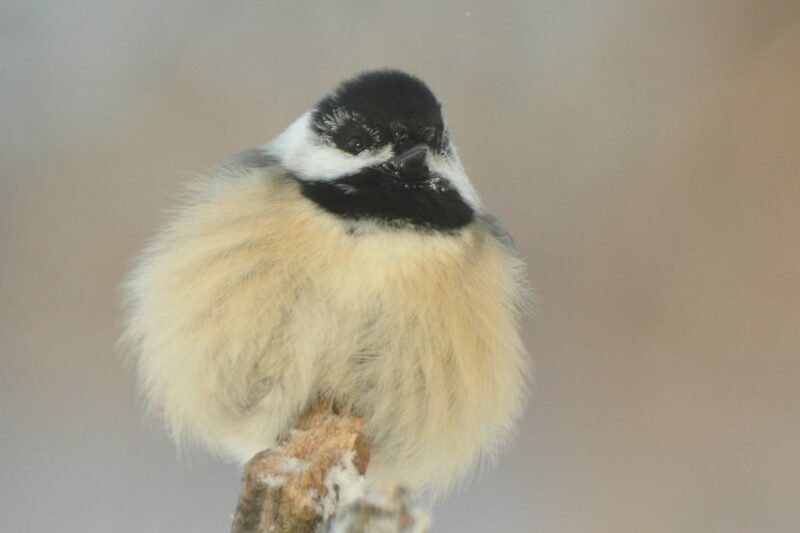 During extreme weather, chickadees fluff their feathers to trap warm air while taking advantage of the ‘solar effect’ provided by the sun. At day’s end, birds head for the warmest and most secure cover they can find. 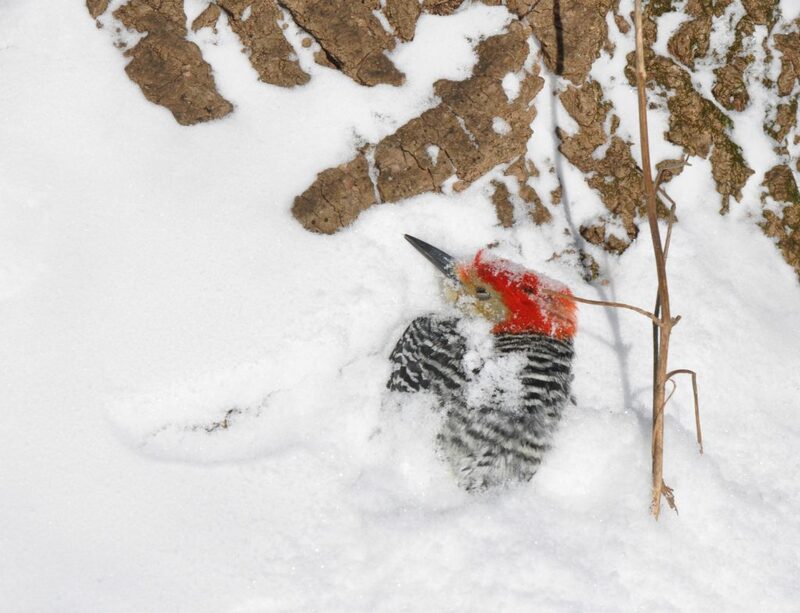 Ring-necked pheasants sail into cattail marshes, cardinals and juncos snuggle into spruce boughs, woodpeckers disappear into the dark tunnels of natural tree cavities. But the daily struggle for survival hasn’t ended yet. 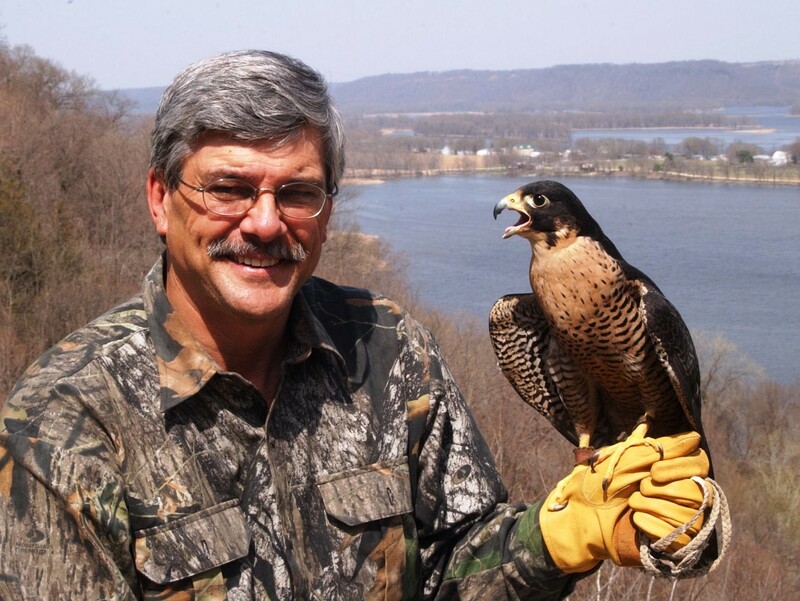 As nighttime descends and temperatures drop even lower, many birds go into torpor; a state of deep, coma-like sleep where energy demands decline as metabolism and internal temperatures fall. Other birds, like quail and partridge, stay warm by sharing their heat with others. As the sun sets, coveys form into a tight “tails in – heads out” circle. 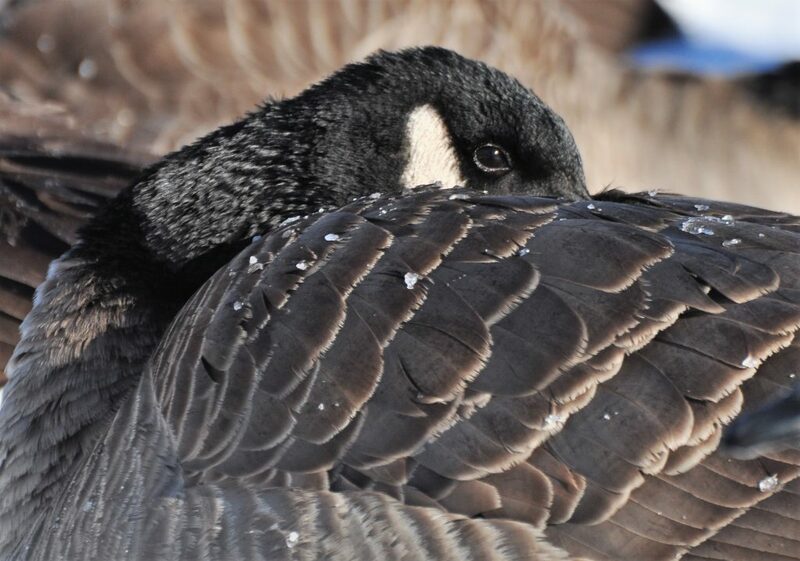 The tactic not only conserves communal heat, but the eyes front formation adds security as well, allowing birds to scan for predators from all directions.